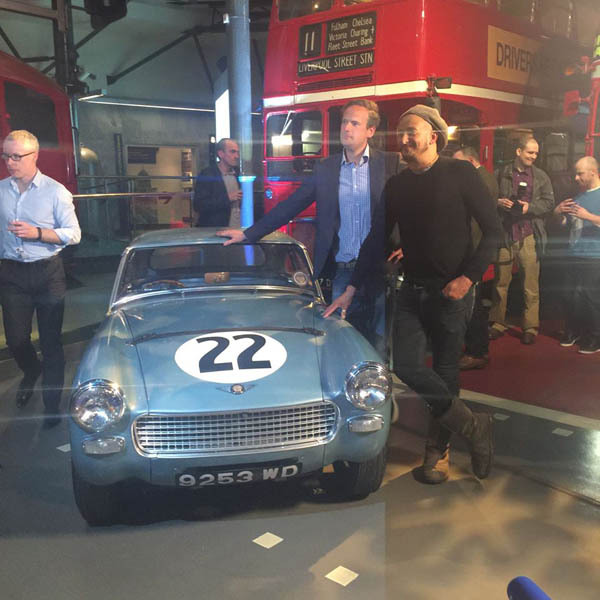 I was recently invited to attend a car TV show launch in London featuring a restored 1962 Sebring Sprite raced by Sir Stirling Moss. 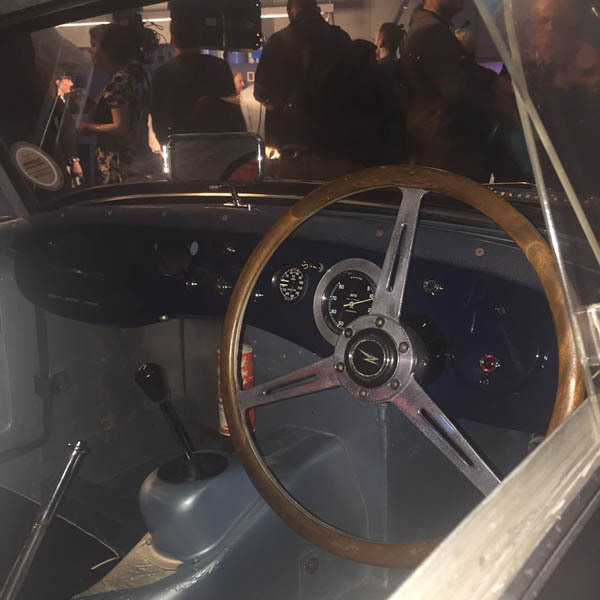 The show was National Geographic’s Car S.O.S and, having the privilege of watching the screening of the first episode, I learnt a certain movie star raced in the same car and series as Moss. This actor was the original “King of Cool”, none other than Steve McQueen. If you’re unfamiliar with his work (although I highly doubt it), he’s the guy in the dark green Ford Mustang in the most famous car chase movie of all time, Bullitt. I knew McQueen liked racing cars and I always associated him with Le Mans 1971 and Bullitt 1968, but I didn’t realise he bumped fenders with the epitome of the gentleman racer, Sir Stirling Moss. Later that evening I managed to chat with the show’s presenters and get up close to the little race car. I peered into the tiny cockpit and imagined battling it out on track, looking in my mirrors as McQueen and Moss prepared to take a dive down the inside – yes, this is fantasy; I’m not deluded enough to think Moss would ever be in my mirrors. These were the hay days of racing cars, the days when gentleman with fat wallets could climb into cars and race with the stars. Inspired, I dug a little deeper and discovered a recent video of McQueen’s Ferrari 275 GTB on YouTube. The car channel, theAFICIONAUTO not only managed to get hold of McQueen’s beloved Fezza, but they also took it for a spin down Los Angeles’ Mulholland Drive. 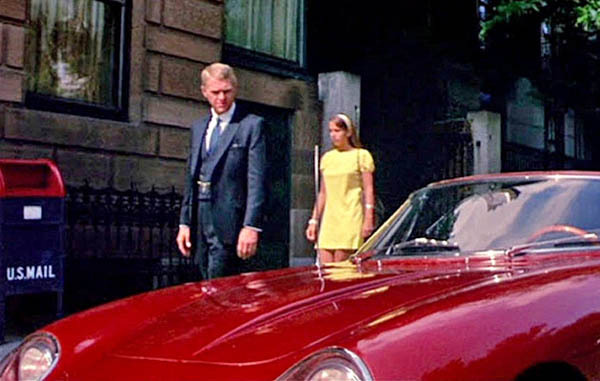 In fact, going back to the movie, Bullitt, McQueen actually owned and drove his 275 GTB at the time of its filming. As the Italian masterpiece makes it way along Mulholland Drive, you get to hear it’s glorious V12 song, all the while taking in some of McQueen’s favourite sights. 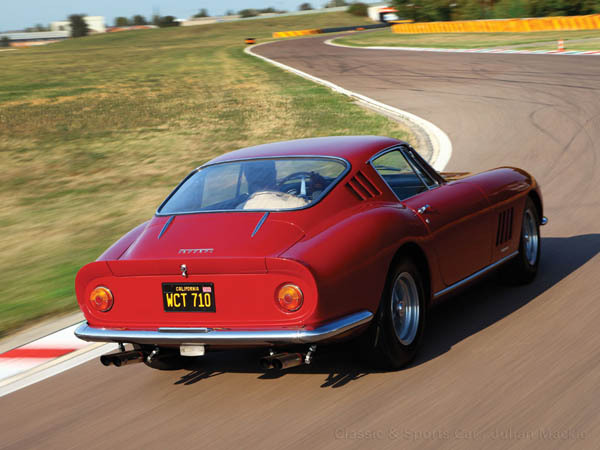 Ferrari’s Classiche department has since restored the 275 GTB, leaving as flawless as the day it left Maranello. 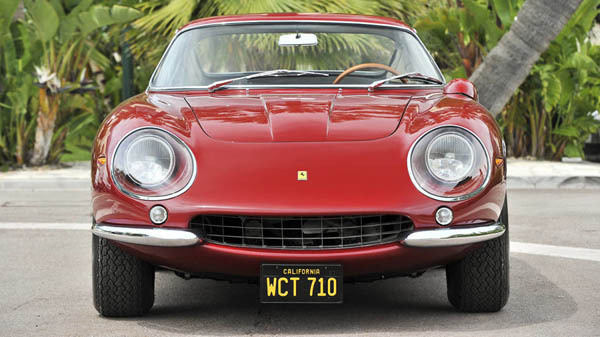 Because this is a classic Ferrari, price tags are going to be high, but when you factor in the previous owner’s own tag as “The King of Cool”, the price is going to soar – by soar, I mean over $10M. This is the money a lucky bidder forked out for the GTB at an RM action in August 2014. 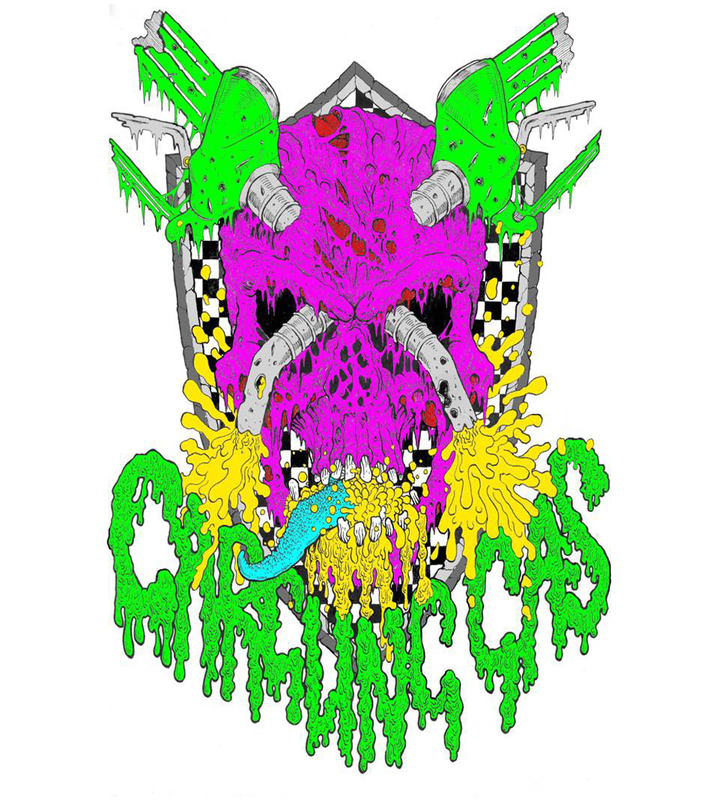 Yes, it’s a lot of money, but if you sit back and watch the video below, take in the sights, the sounds, and imagine every bend through the eyes of “Mr Cool”, you’ll get some idea as to why people part with so much of their hard earned cash. If you like the look of the little Austin Healey Sebring Sprite, check out Car S.O.S. and watch Moss take it for a good thrashing after its restoration.